Only two pastors in the three-century history of Ridgefield’s oldest church have served longer than the Rev. Clayton R. Lund. One was his predecessor, the Rev. Hugh Shields, and the other was the Rev. Jonathan Ingersoll, from 1740 to 1778. The 17th minister of the First Congregational Church arrived in 1956 and retired just 30 years later. During Lund’s first 10 years here, the congregation tripled in size to 800 people, a church school was added, and an assistant minister was hired. A native of Providence, R.I., Clayton Reginald Lund was born in 1919 and graduated from Clark University and Andover-Newton Theological School. He served congregations in Massachusetts and New York before coming to Ridgefield at the age of 37. Lund was all of those, often participating in community organizations and speaking up for people in need. He was also a strong leader. In 1978, just after extensive renovations were completed, a child playing with a candle ignited a fire that destroyed the Church House. 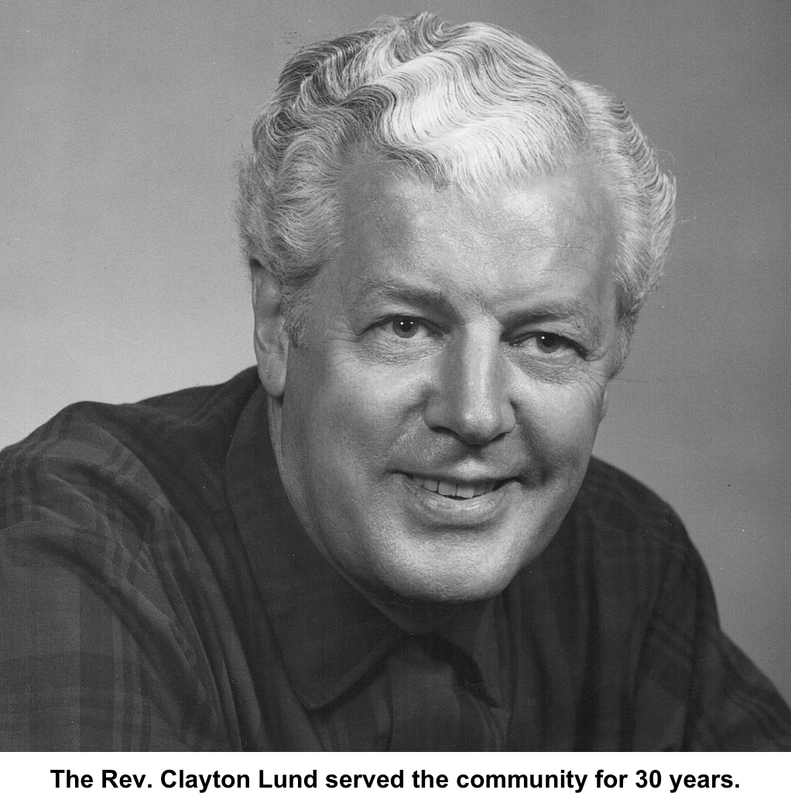 Lund led the efforts to build a new church house, which was completed in 1980 and named Lund Hall in his honor. He was so respected as a minister that in 1990, Andover-Newton, his alma mater, established a $20,000 Clayton R. Lund scholarship for ministerial students. Lund, who had moved to Danbury after his retirement, died there in 2000 at the age of 81.